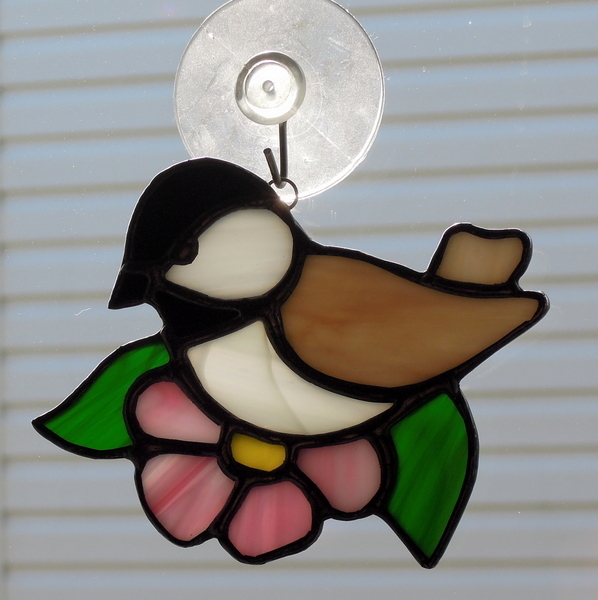 We just made this beautiful Chickadee, along with a Wild Alberta Rose. 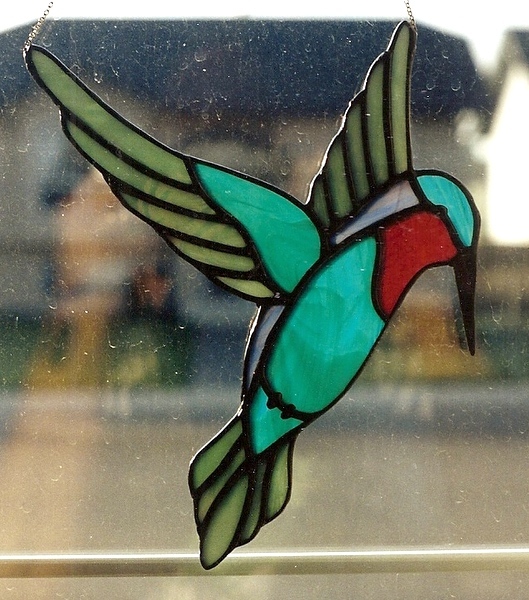 For a client back in 2004 – 2005 we made this enlarged very pretty Hummingbird (before we had a digital camera). This was the first panel that we ever made for one of our daughters back in 2001. 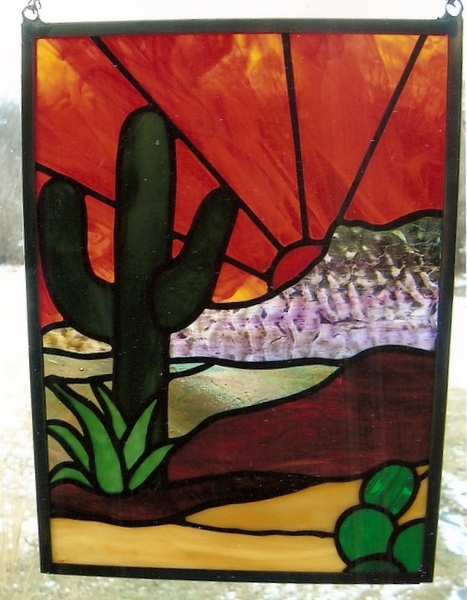 We had obtained some neat glass while in Arizona during the winter months from 1999 to 2001. The panel was about 7 x 10 inches. 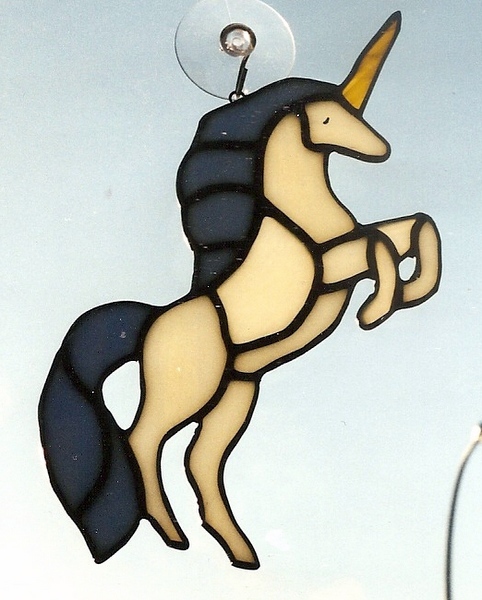 Quite a few years ago before we even had a digital camera, we made this Unicorn for a client who lived in Central Alberta. 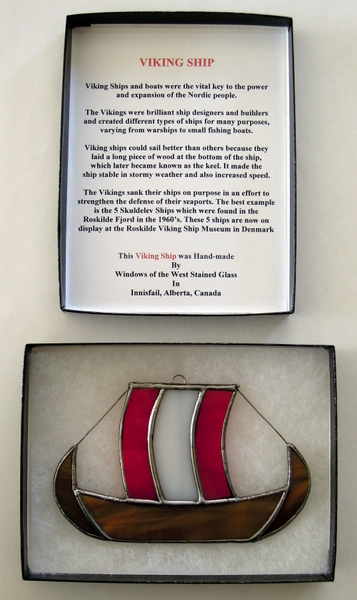 This Spectrum Glass pattern measures about 8.5 inches high by 5 inches wide.